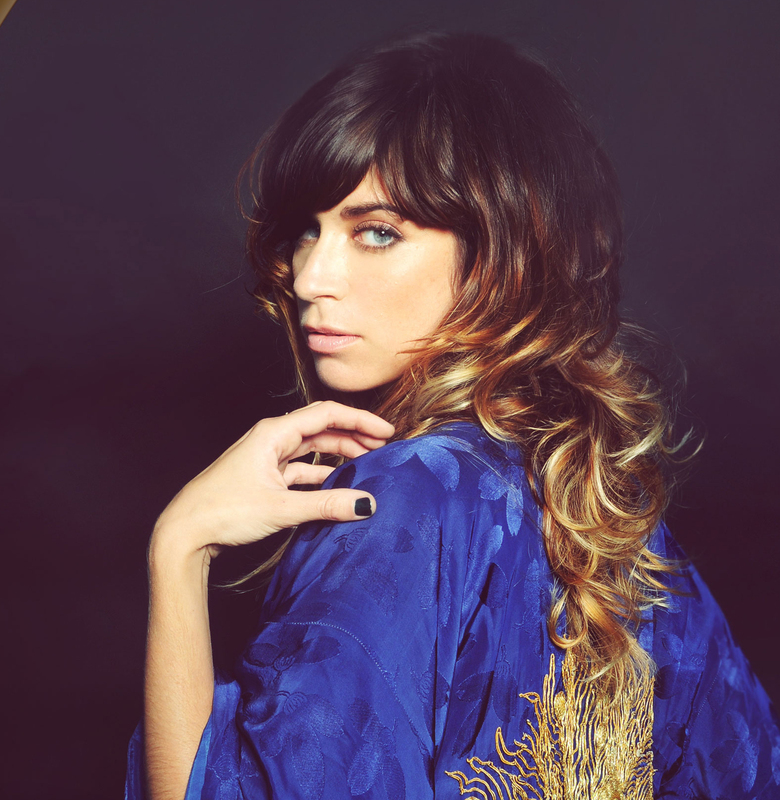 I’m a big fan of Nicole Atkins. Her first album, Neptune City, was a spectacular surprise I rescued from a box of CDs in my brother’s apartment; they were advance press copies, all hopeful for the pages of his then-project, Reverb Magazine, which I was also writing for. I took the disc on a whim and, after hearing it, fell instantly in love with it. Atkins’ sound was a lush orchestral rock that blurred the past and present, mixing 60s melodic grandeur with modern bite. I also loved her second release, Mondo Amore, though it was a very different animal, stripped of its orchestral finery in favour of a darker, rougher, more emotionally wounded aesthetic. 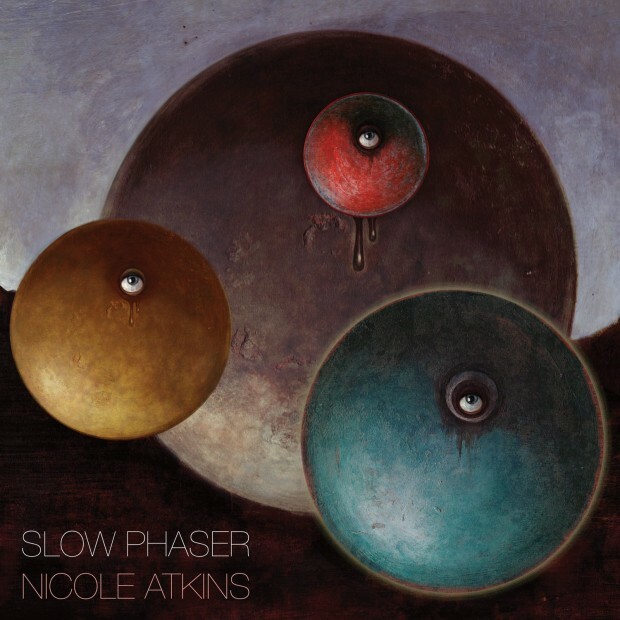 Slow Phaser is what Nicole herself describes as a “desert disco” record, a term that seems a little nebulous until you actually hear it. The album opens with “Who Killed the Moonlight”, a low, smouldering, bass-driven groove that broods underneath Atkins’ husky vocals until it suddenly emerges into a glistening disco chorus. The transition is absolute genius, both styles playing off each other like light and shadow – aptly, as she sings of amorous lovers struggling to part as night becomes day. Moonlight is itself a disco cliche of sorts, the first of many tongue-in-cheek references she makes throughout the record. “It’s Only Chemistry”, by comparison, is a throwback to the raucousness of Mondo Amore; it’s a fun, ambling, banjo plucking sing-along brimming with drunken world wisdom. A call and response forms, with Nicole’s drifting questions answered in kind by the motley collection of voices she’s singing with. The next track, “Girl You Look Amazing”, is the album’s first single, and rightly so. It has a bass hook that burrows instantly under your skin – you’ll find yourself nodding your head to it like a dork without even realising. It’s one of Slow Phaser’s funkiest, most immediately accessible (and, after a drink or two, dancible) tracks. But she sings it with a wry smile, with the amusement of an adult looking back at the anxieties of their younger years. “Red Ropes”, which rests perfectly at the midpoint of the album, is its darkest and most powerful offering. The theme of destructive connection, of being bound and shackled to those people and emotions that harm us the most, is accompanied by a steadily escalating outcry; “You said you’d show me the ropes / As you tied me to the tracks,” sings Atkins, as the droning bass and trickling guitar lines build in urgency and intensity. The climax swells to a torrent, the wailing melody bolstered by a chorus of backing vocals. The villain of the piece may also be Atkins’ previous record labels, whose commercial influence and manipulation of her creative vision led to her departure. While Neptune City was an absolutely stunning debut for Nicole Atkins, Slow Phaser is her most accomplished release to date. It’s a darker, wittier, more mature album that clearly realises a number of ideas only alluded to in her previous work. Apart from the master craftsmanship of its songs, the album is most impressive in its consistency; there’s a constant throbbing energy from start to finish, the warp and weft of the music carefully measured even as it changes pace and tone. One might, in a general sense, even call it a concept album, given its commonality of style and theme. If you want to strip away the academia, though, it’s just a bloody good dirty rock disco record. “Desert disco” indeed. Nice review. I like the album. Nonetheless, if I had to choose, I would choose the previous one. But I like it. My favorite is Red ropes, followed by Who killed the moonlight?. But there are 3 songs I don’t like (2, 10, 11) and that didn’t happen on the first 2 albums.